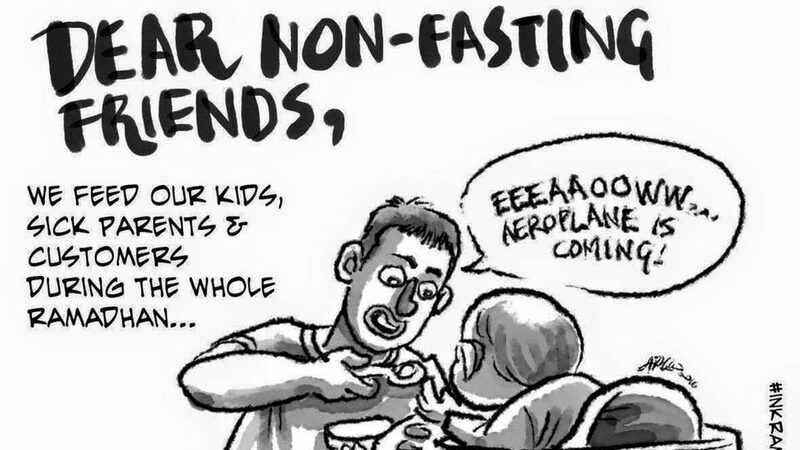 It’s the middle of the Ramadhan season and although it has already been observed in our country for a long time, many are still struggling with comprehending the etiquette behind the fasting season. For every single action displayed, there would always be somebody standing by to critic or to applaud them on social media. Frankly, it is a tiring ordeal to be placed under the microscope all the time, but perhaps that is all part and parcel of living in a multicultural nation. Clearly we Malaysians still have a lot to learn about one another in our journey of not only acceptance but also acceptance sans prejudice. 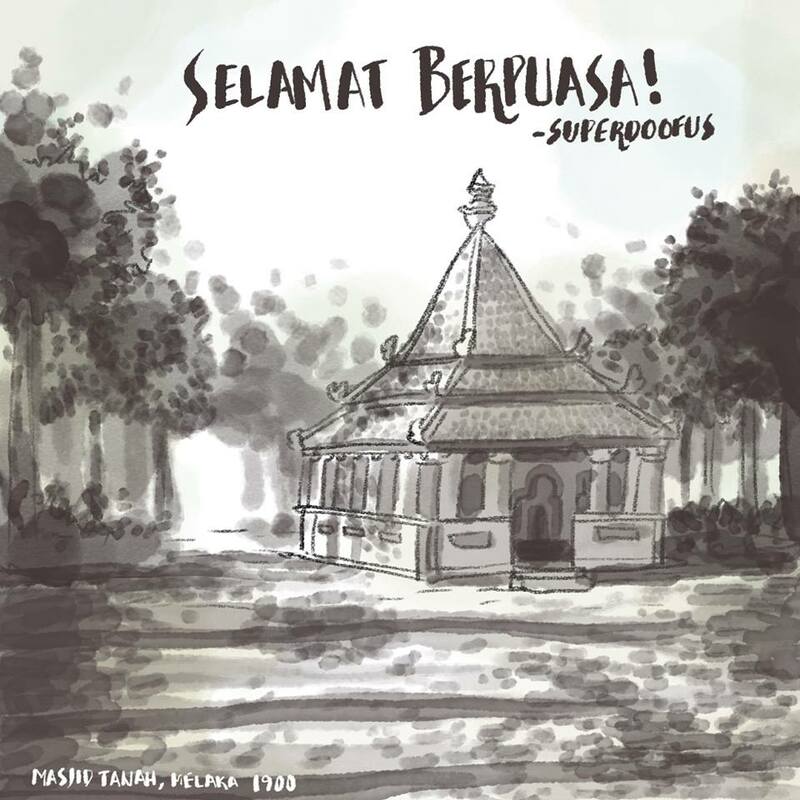 One Malaysian artist chose to express the true spirit of Ramadhan the best way he can—his drawings. And that’s how the #inkramadan series was born on Facebook. Arif Rafhan bin Othman, also known as Superdoofus, is the man behind the series which he publishes on a Facebook page of the same name. 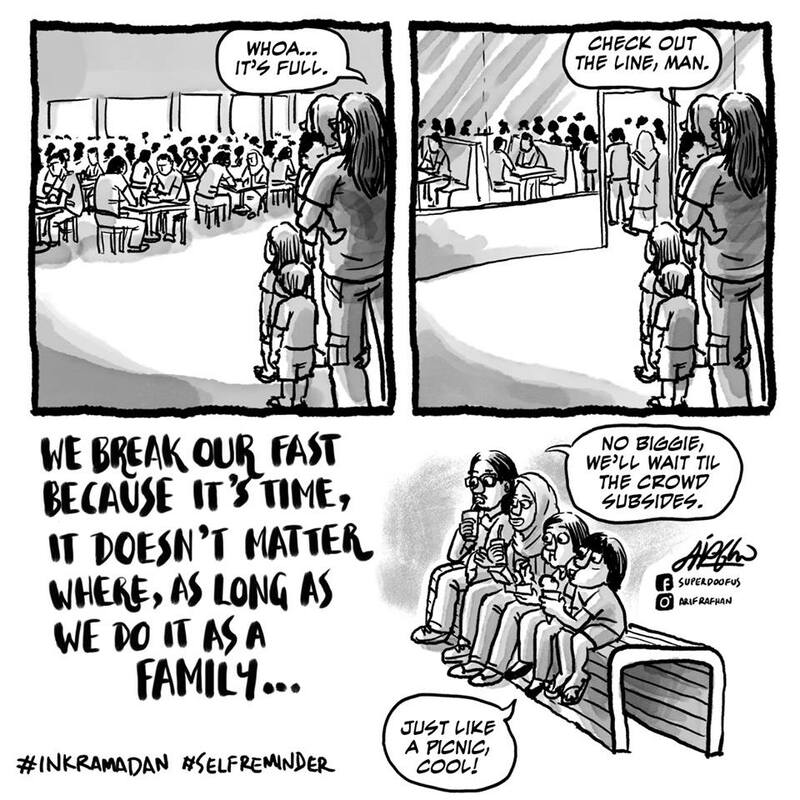 He only took it one step further with the messages behind his comic when he realised that there are lots of negativity on social media during Ramadhan. That was when he drew up a comic about the fasting period and how the issue, in his opinion, has been sensationalised out of proportion. He posted the image up after sahur and that was when it blew up on Facebook with over 9000 shares. The 39-year-old full-time comic artist and illustrator has been drawing in multimedia and recently in comic/illustration industry for a total of 13 years. 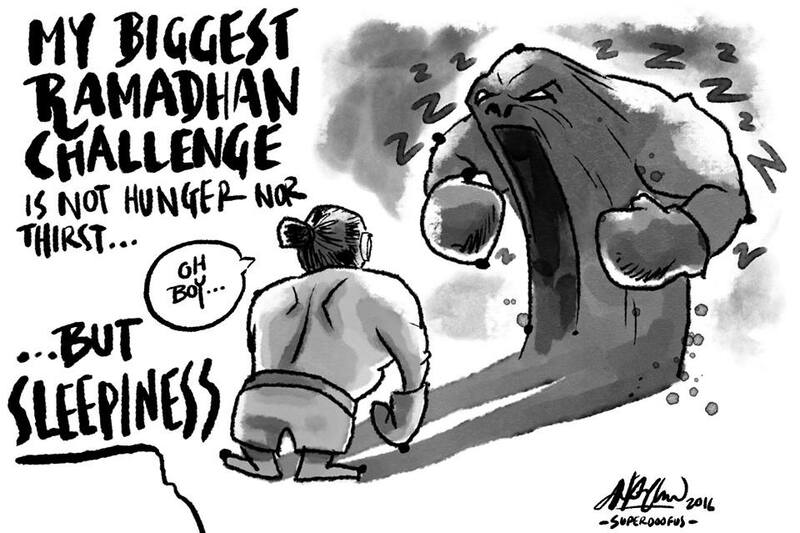 Follow his #inkramadan adventures on his Facebook page here!